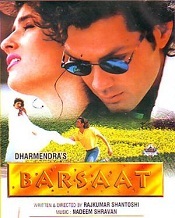 Barsaat was directed by Rajkumar Santoshi and co-starred Twinkle Khanna, Raj Babbar, Mukesh Khanna and Danny Denzongpa. Film was a commercial hit and earned INR 19 crores at box office. 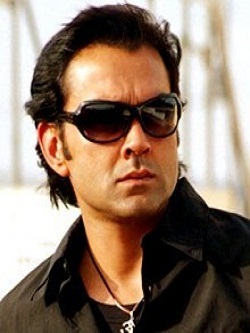 Bobby Deol earned Filmfare Best Male Debut award for his performance. Film tells the story of innocent young village man coming to a big city to attend college. He falls in love with a girl in college, she is the daughter of rich dad and he is planning to marry her to his friend’s son. Infuriated by this her father corrupts police officer and imprisons him for false case. Finally he sends goons to kill him but at the end he kills goons and reunites with his girl. Gupt: The Hidden Truth was directed by Rajiv Rai and co-starred Manisha Koirala, Kajol and Paresh Rawal. Film was a commercial hit and earned INR250 million at box office. Film tells the story of young man living with his mother and step father. He falls in love with a girl in college and wants to marry her but his step father wants him to marry a girl he chosen for him. One day on his birthday his step father announces that his son is engaged to the girl of his choice, infuriated by this young man aims a knife and threatens to kill him before the guests. Rest of the story is about how they frame for murder which he didn’t commit and his revenge. 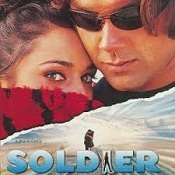 Soldier was directed by Abbas-Mustan and co-starred Raakhee, Preity Zinta, Dalip Tahil and Suresh Oberoi. Film was a superhit and earned INR255 million at box office. Film tells the story of young man who wants to take revenge for the death of his father. His father was a sincere military officer who was trying to stop the gun smugglers from entering India but he was shot by the gangster. After 20 years murderer comes back to India and was shot by the protagonist who later escapes to Australia. Rest of the story is how he joins bad people and takes down the criminals. Ajnabee was directed by Abbas-Mustan and co-starred Akshay Kumar, Kareena Kapoor and Bipasha Basu. Film was made with budget of INR190 million and earned INR470 million at box office. Film tells the story of young man falling in love with a girl and marrying with the consent of their parents. They meet another couple and became friends, they go on a trip to Mauritius. There one husband suggests wife swapping and this upsets the other husband and fights. Next day he finds his friend’s wife dead. Police suspects him and he flees. He finds out that his friend is faking the death of his wife to get insurance money. Rest of the story is how he tries to get him to justice. Humraaz was directed by Abbas-Mustan and co-starred Akshaye Khanna and Amisha Patel. Film was made with budget of INR 15 crores and earned INR 65 crores at box office. Film tells the story of two dancers falling in love, but after sometime she falls in love with a rich man and gets married eagerly. Story takes u turn when audience come to know that dance couple planned her to marry rich man so that they can get his money. Rest of the story is what happens to triangle love story. 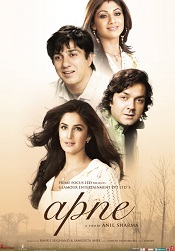 Apne was directed by Anil Sharma and co-starred Dharmendra, Sunny Deol, Shilpa Shetty and Katrina Kaif. FIlm was a commercial hit and earned INR450 million at box office. Film tells the story of ex-boxer who tries to wash a stain in his boxing career. He has two sons through whom he wants to achieve something in boxing. He could not achieve it with his elder son due to some financial reason and now he thinks of doing it through his second son. His second son is dreaming about becoming a singer and also launched his own music album. But he prepares to give up his dream for the sake of realizing his father’s dream. Second son wins all the championships but at the end loses match because of cheating and ends up in serious lever damage. Rest of the story is how his first son prepares for the boxing and wins the title. Dostana was directed by Tarun Mansukhani and co-starred John Abraham, Abhishek Bachchan, Priyanka Chopra and Boman Irani. Film was made with budget of INR30 crore and earned INR102 crore at box office. Film tells the story of two men acting as homosexuals to get an apartment. While looking for an apartment they fall in love with a apartment but the owner of apartment says that he won’t let the apartment to guys because it disturbs her niece. In order to get the apartment they say a lie that they are lovers. But both the guys fall in love with the same girl and now competition starts between them. 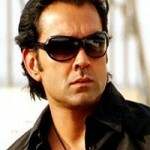 Yamla Pagla Deewana was directed by Samir Karnik and co-starred Sunny Deol, Dharmendra, Kulraj Randhawa and Anupam Kher. Film was a commercial hit and earned INR865.0 million at box office. Film tells the story of Non-resident Indian living in Canada with his family of his two kids and his mother. One day NRI was asked to find his younger brother and father in India. When he visits India his younger brother robs him of all money and without any money he goes to a bar where he finds out that his father and brothers are criminals. NRI tells the father his true identity but he doesn’t accept it. Rest of the story is what happens to the family.